Calma cottage is a tranquil 2 bedroom relaxing oasis, sleeps 7. One double master bedroom. One double family room with overhead bunk. A large double sofa bed in living room. 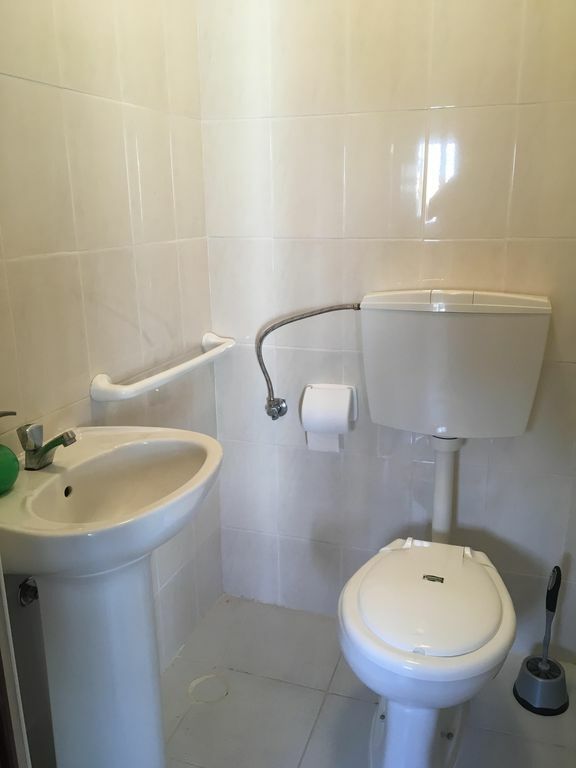 One family bathroom with shower and an additional toilet with sink in the games room. Large games room with pool table, bar, darts ect. Ideal for socialising. Outdoor bar b q area, pizza oven and large dinning area to seat 12 people. Own swimming pool with sun loungers , table and chairs for poolside dining close to the kitchen. Fully equipped kitchen, microwave, toaster, kettle and oven hob. everything you need to be home from home. Washing machine. Inside dining area off the kitchen open planned living. Access to the beach 10 minuets walk. 2 min by car. Local mini market, shops, tobacconist, bars and restaurants all within walking distance. Full information on local area will be provided on arrival. Onsite parking. Welcome packs available on request. In Games room. pool table, Darts etc..
Inflatables for the pool and other toys. Is possible but there is a gravel drive and pathway to door.